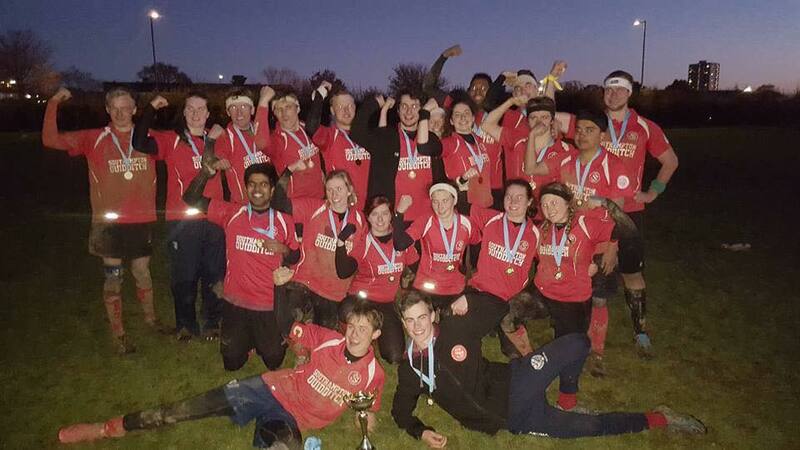 Hubbub - Get Southampton Quidditch Club to the European Champs! 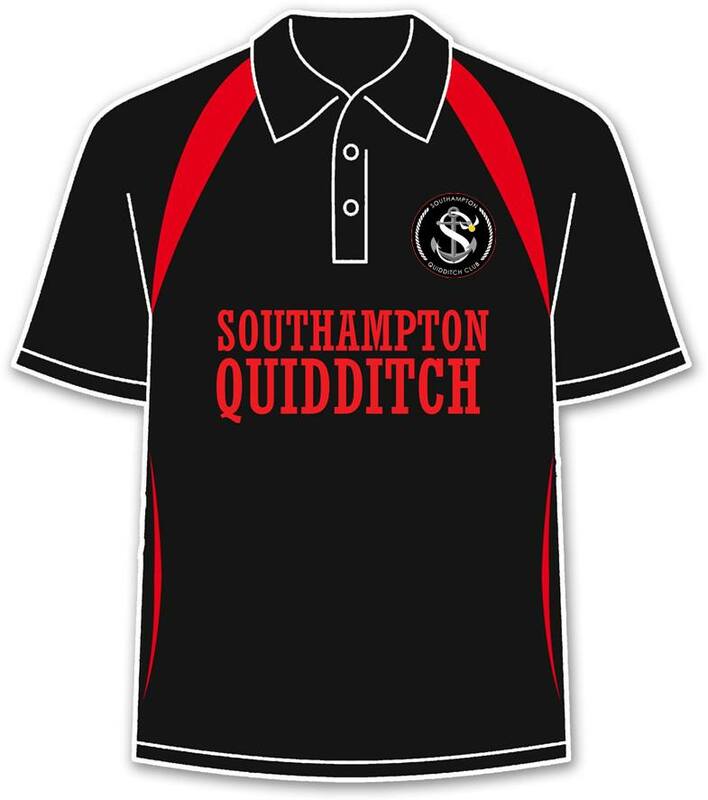 We are Southampton Quidditch Club , current Regional Champions and previous National Champions in the sport of quidditch. We have been playing quidditch since 2013 and we play a real life active version of the game, adapted from the magical sport in Harry Potter. 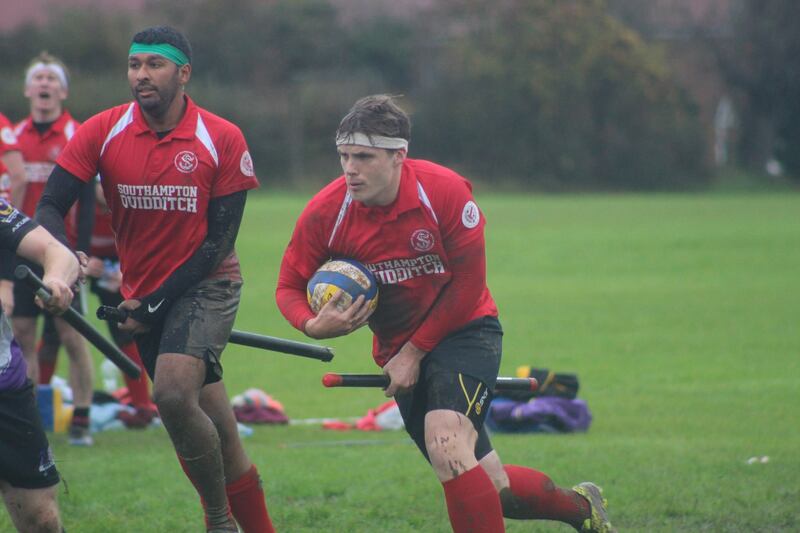 Quidditch has taken off around the world and there are currently over 50 teams in the UK alone, and over 300 worldwide; Southampton being one of the largest with over 50 active members. The squad after coming first at Southern Cup 2017 and qualifying for EQC. We are raising money to attend the European Quidditch Cup (EQC) , which will take place in Pfaffenhofen an der Ilm, Germany on the 28th-29th of April. EQC brings together the very best 32 teams in Europe, crowning one team as the European Champions - and we want to bring home the trophy! With dozens of teams attending from all across Europe, and as one of the foremost and highest ranked teams in the UK, this competition is really important to the entire team. We are passionate about our sport and we would love to test our skills against the best teams in Europe and to have our shot at becoming the 2018 European Champions! If you donate, and help us along our journey, you will be enabling our squad made up of majority university students or newly graduates to be able to afford to attend. They will gain experience among some of the most competitive players in the sport at the most prestigious tournament in Europe, while also representing the University of Southampton on an international level. Quidditch? but you can't fly! Quidditch stands by itself as a thriving sport, and is unique in its combination of tactical play, physicality, and gender inclusivity. There are seven players on pitch at all times: a keeper (the goalie), three chasers (who get points by scoring hoops with the quaffle), two beaters (who have bludgers and control the dodgeball element of the game) and the seeker (who chases the snitch). And the snitch? Well, the snitch is a tag attached to the back of the snitch runner's shorts, and the snitch runner has to prevent the seekers from catching it. It’s not as bizarre as it sounds and even though we can’t fly we absolutely love to play. We have different levels of interest in Harry Potter and we won’t mind if you haven’t read the books or seen the films. Nor will we mind if you love them and have a deathly hallows tattoo! Quidditch has also been dubbed “the world’s most progressive sport.” There are very few sports that are mixed gender; with most leagues separating men and women, with men's leagues often being much better funded. Quidditch mandates a mixed gender squad, allowing women, transgender and non-binary individuals to compete on an equal playing field as men. 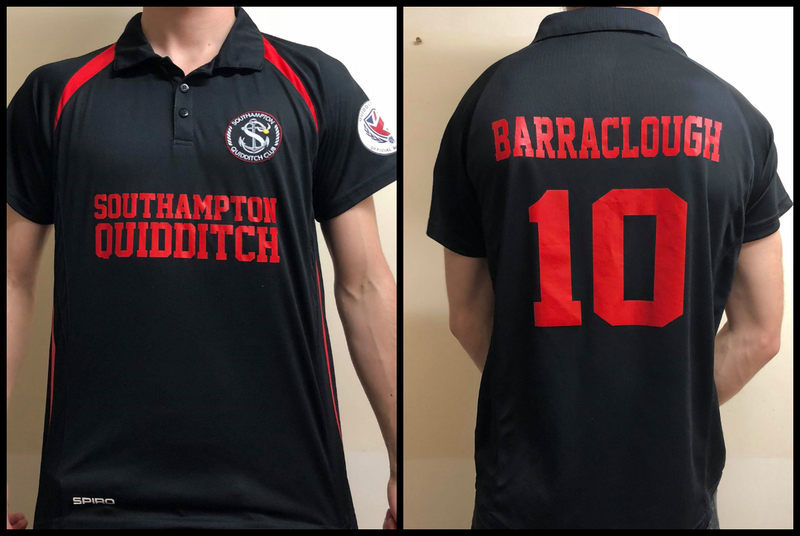 Quidditch is a leading example for the future of gender inclusive sports, and the Southampton team itself provides a safe community for our transgender and non-binary players to play sports without judgement or being ostracized. What will your donation help us achieve? This project is just one of the many fundraising projects we're working on to help us raise the funds we need for the competition. Everything we raise here on the project will go towards our trip - even if we go over the amount we need. And to help your donation to go even further, the University's Student Experience Fund is helping to match the first £1,000 we raise - doubling each donation we receive up to that point! We'd like to thank the University and alumni who support projects, such as ours, as experiences like this one are truly a once in a lifetime opportunity, which contributes towards our university experience. Quidditch is a fast-paced mix of rugby, handball and dodgeball. Rewards and perks for you! To say thank you for your support we've got some great rewards in store, which you can view on the right-hand side of the page, including a super exclusive black away kit designed especially for the tournament. Hopefully we've managed to convey how passionate we are about this sport and how your contribution competing on an international level at EQC will further our club and help us succeed at this unique opportunity! Mock-ups of the available perks! 1) We can post your perk to you; just fill in your address when you choose your perk. We will contact you directly once you have donated as there is a small delivery fee depending on where the item is being shipped to, which is added on separately. 2) Alternatively you will be able to collect at most major tournaments (EQC, World Cup, most UK/some European fantasy tournaments). Please comment in the "address" section which tournament you wish the items to be delivered to. Check out our Facebook page: https://www.facebook.com/SouthamptonQC or twitter: https://twitter.com/SouthamptonQC to follow our preparation and progress. Even if you aren't able to make a donation, you can still help to support the project by sharing it on Twitter, Facebook, by email, or even in person with anyone you think might be interested in supporting us! The more people we reach, the more likely we are to succeed! Please sponsor us and help us get to the European Quidditch Cup in Germany, thank you! We will post a message to our Facebook page thanking you for your support! We will send you a postcard from Pfaffenhofen signed by the whole team. You will receive your own pair of stylish red SQC shades. You will receive a Southampton Quidditch Club snapback, embroidered with our logo. *The fan pack* Donate £20 and you will receive both a snapback and pair of sunglasses! We have worn our iconic red Southampton kit every time we play, however, we have created a special, limited edition black away version just for the tournament. You will receive your very own exclusive shirt, personalised with your chosen name and number. This won't be available anywhere else! Thank you so much for your generosity in supporting us. Not only will you be a huge help in getting our players to EQC, you will receive every perk stated above too (postcard, sunglasses, snapback, and shirt). We're extremely grateful for your huge contribution!